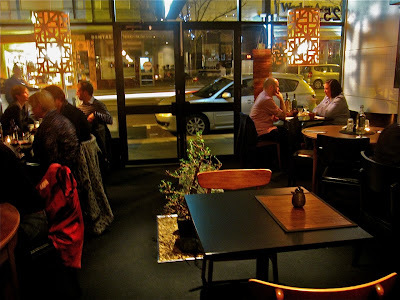 Chic, traditional and irresistible are the words that come to mind when describing Otsumami, a romantic Japanese restaurant on Northcote’s High street, just opposite the Wesley Anne hotel. A perfect date-place, I would recommend booking ahead to secure a spot. If you want the full experience, slip your shoes off and sit on the printed silk cushions on the floor. In front of the cushions lies a black, square table and above floats a decorative cut-out spherical light. Tables for two line the walkway from the bonsai stone feature and snug sitting arrangement at the front of the restaurant, back towards the larger space at the rear of the room with tables for larger groups. Dim lighting adorning the Japanese floral prints on the feature walls set the atmosphere. Make sure you remember to take a peak at the chefs cooking away in the centre of the room as you pass. It certainly looks impressive, but it also proves everything is made fresh. Otsumami translates to “shared food to be enjoyed with beer.” Whilst we weren’t drinking, we were sharing, and we both enjoyed the meal even in the absence of a brew. The menu is organised into Small Food, Medium Food and Bigger Food, with a meal from each section the recommended amount for two. 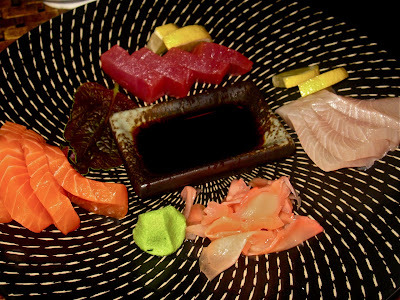 We replaced our “Small Food” order with a sashimi plate of rich salmon, kingfish and tuna, which melted in the mouth, as well as two tasty miso soups. From the “Middle Food” section we ate the sweet potato gyoza. 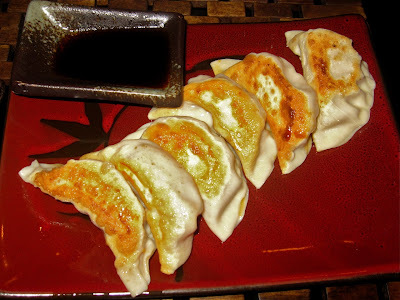 It was obvious that the dumpling cases had been prepared and cooked fresh and the sweet potato was exactly that – sweet. The colour of the bright saffron filling was very impressive. 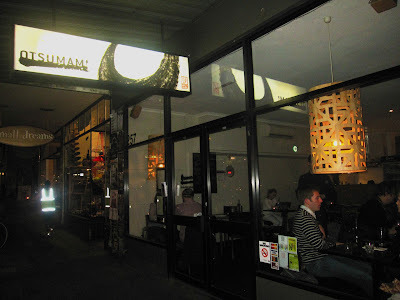 Next time I will be trying the Pirikara – tiger prawns cooked in chilli, soy, ginger, garlic and palm sugar, served with spinach and peanuts. From the “Bigger Food” we decided on Ika Salad. 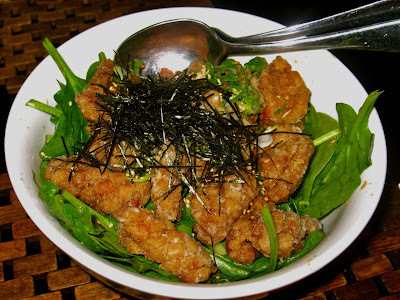 It consisted of squid marinated in soy, coriander and lemon, lightly deep-fried in a brown batter, and served in a bowl of baby spinach, cucumber and mint salad. The sesame dressing and combination of aromas were to die for and it complemented the previous dishes wonderfully. We finished off our date by sharing a Japanese dessert called Azuki. 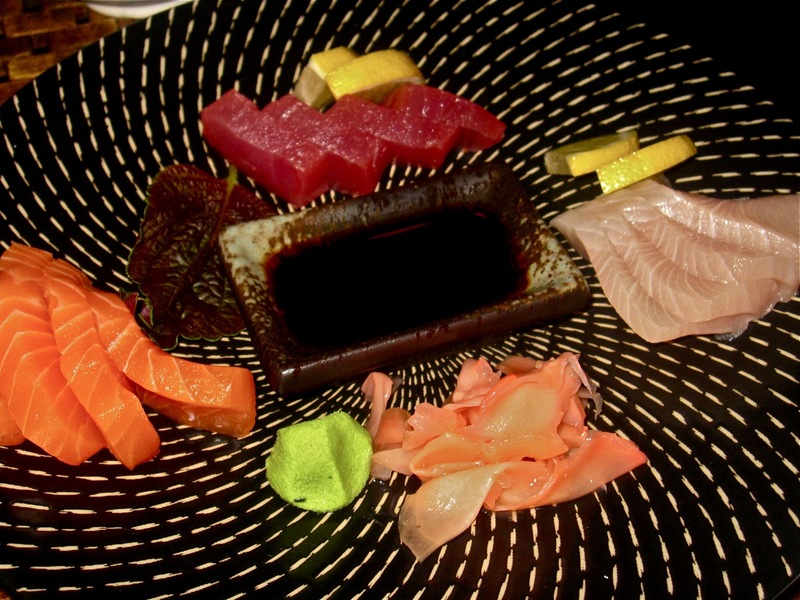 Served on a patterned, black dish we enjoyed (inhaled!) 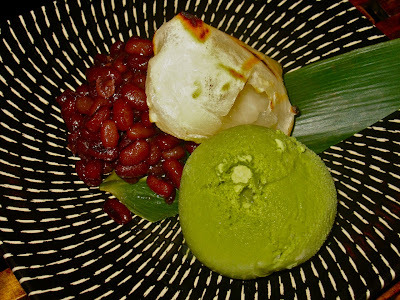 sweet red beans with char-grilled mochi (sticky rice cake) and my favourite, green tea ice cream. By the end of the meal we were pleasantly full without being bloated. Our waitress was lovely and very attentive. The food was delicious and served quickly. 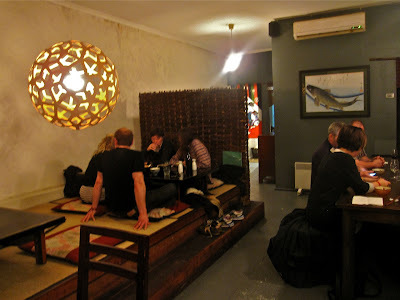 The atmosphere was cosy and romantic without being conceited. This is the perfect place to take someone to make a brilliant first impression. Otsumami gets a well deserved 4 kisses, and if you take a date, so might you.